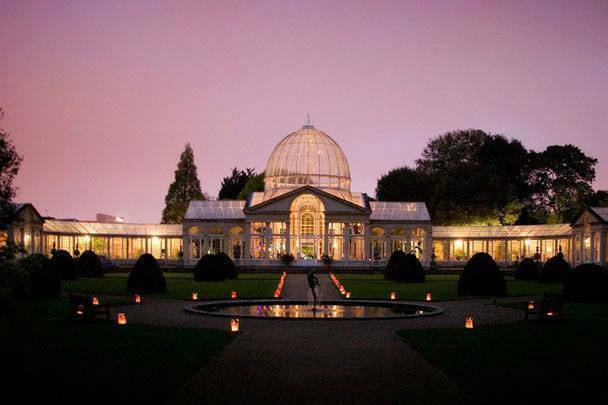 The Great Conservatory is a magnificent events venue surrounded by 200 acres of parkland. Perfect for parties, dinners, conferences and team building. 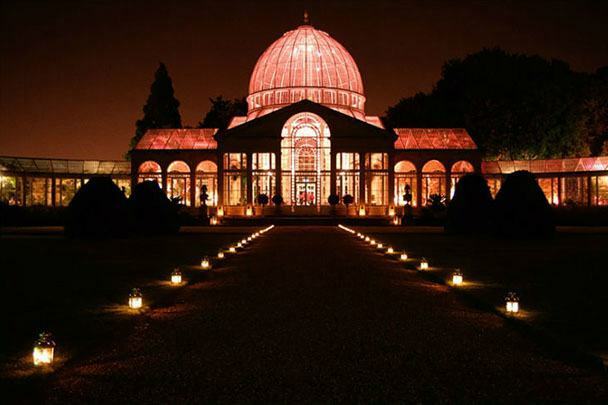 The Great Conservatory at Syon Park is one which is perfect for those who are looking for the wow factor during their event. Events which are especially perfect for this stunning venue range from summer parties, sumptuous dinners, atmospheric Christmas balls, elegant Champagne receptions, inspirational conferences, team building days, treasure hunts and more. The sizing of glasshouses was relatively small during the early nineteenth century and they were also slightly different from the orangeries of previous years. These glasshouses were mainly built of stone, whilst it also featured large windows and sometimes even glazed roofs. 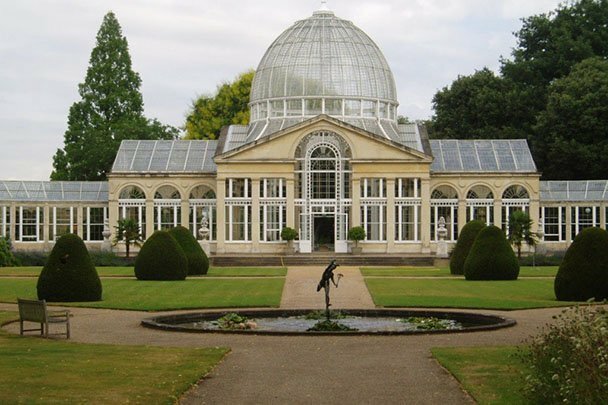 After the new conservatory at Syon was built, the contract for it was given to Charles Fowler, an architect who mainly specialised in large industrial buildings. Fowler’s use of new metalworking technologies begin to be developing in the English midlands, where he crossed over the twin disciplines of architecture and engineering. He began to create a building at Syon – a building which had a delicate structure, which was combined with a neo-classical elevation on a Palladian model. The Great Conservatory at Syon Park was backed by a huge range of growing houses in the newly-built nursery and was filled with beautiful and exotic plants from all across the world. The different plants from across the globe vary from the ‘Cape’ plants from South Africa, ‘New Holland’ plants from Australia and ‘Camellias’ from China. The greenery continued to grow and become even more magnificent by the 1880s, when palms and giant bamboos grew to the top of the Dome – however the social and political disruption which came about during the First World War lead to a period of decline. Luckily, this stunning building was restored in 1986/7 and, although it is entirely unheated, it is an important historic structure which is in impeccably good condition. 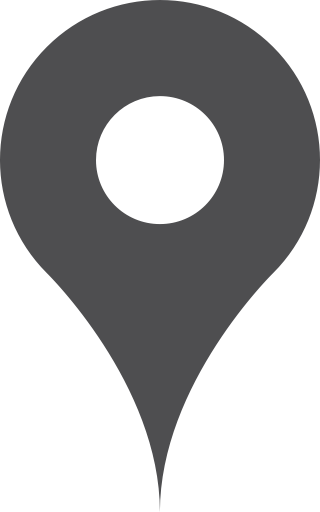 This particular venue is surrounded by 200 acres of land, 40 acres of beautiful gardens and even a picturesque ornamental lake. These gardens are renowned for their extensive collection of 200 species of rare trees. Inside of the working conservatory, there are the most exotic plants and trees to create a tranquil setting, especially for day time events. 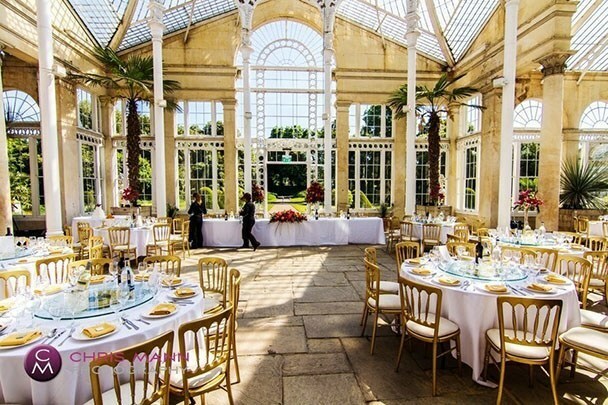 The Great Conservatory at Syon Park can accommodate between 50-150 guests for a seated meal or it can accommodate for up to 200 guests for a standing buffet.